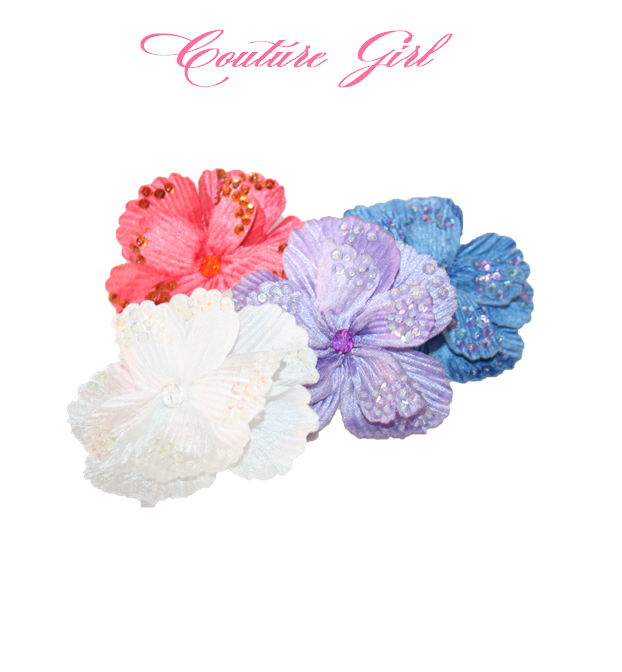 Silk wrapped headband with a beautiful 4 1/2" velvet flower with sequined petals and a bead center. Flexible band for ultimate comfort. 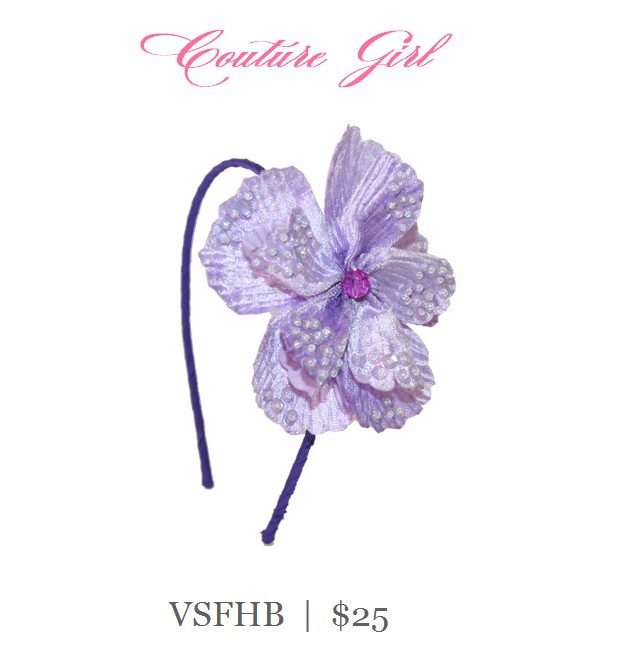 No more headband headaches for this Couture Girl. Shown here in lavender.